Similar to our outlook on food - we want our beverages to be delicious and beautifully presented. Depth of flavor, nuanced pairings, thoughtfully composed, intentionally garnished - our cocktails are creative takes on classics and craft originals. While we love Oregon and Washington wines, our goal is to offer a variety of high-value wines from all over the world. We can help with wine pairings for any menu. New breweries are popping up every day in this town. We want to offer delicious and interesting brews from well-known and newer breweries. Exceptional service is always our goal. Our bartenders are professional, friendly, and knowledgeable. We want to take care of you and your guests, and they're excited to share our beverages with them! 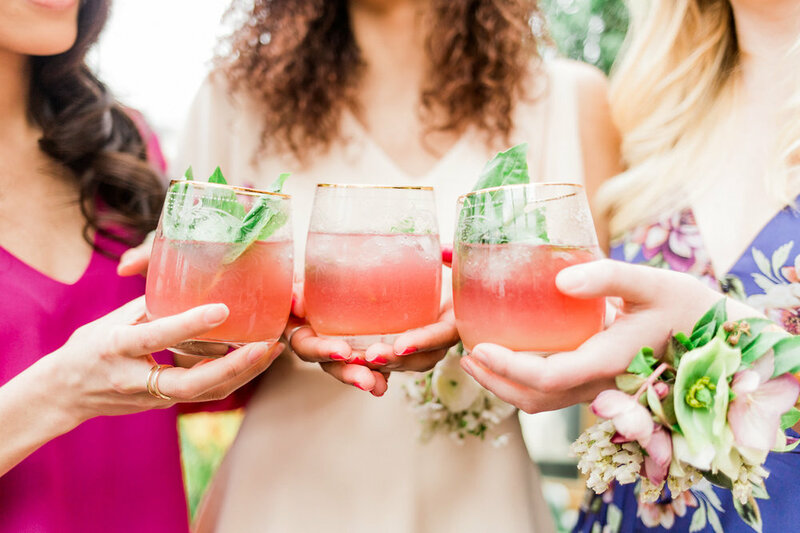 Whether your event is 50 guests or 500 guests, our bartenders are even-keeled and efficient under pressure. We arrive about 1.5 to 2 hours prior to guest arrival. This gives us adequate time to unload our setup items, locate where the bar(s) will be, and start staging and setting things up! 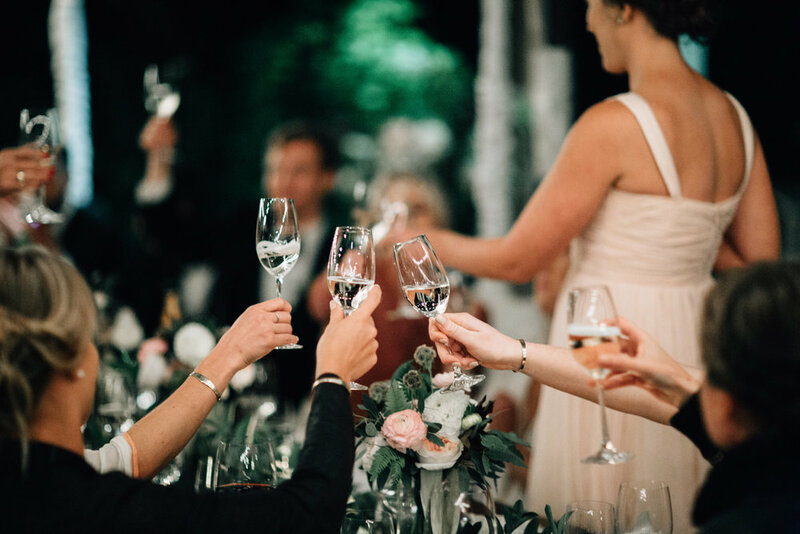 During the event, our staff will make and serve beverages to the guests, orchestrate serving beverages for toasts, and can pour beer and wine table-side if desired. Once the event concludes, our staff will take down the setup, pack, and load our things out. We're always careful about leaving the space cleaner than when we arrived! Our staff has a reputation for being the most helpful crew in Portland. When we're through with our setup and have extra time or hands, we'll be glad to offer a helping hand wherever needed! Pricing for bar services can be so tricky. In an effort to keep things simple, we price things per beverage. All of our cocktails, wines, and beers are each priced - so when you make your selection, you know how much things will be. For ease of estimation - we'd advise you to plan for about 1 beverage per guest per hour of service. We will make recommendations on how much of each drink to purchase, but if you'd like to amend things - no worries, our proposal will reflect what fits you best! A nicely balanced bar menu would contain 1-2 specialty cocktails, 2-3 types of wine, and 1-2 beers from our list. Along with the beverage pricing, we bill $35 per hour for our bartenders. Along with the above sections, we're glad to provide glassware rentals through Portland Party Place. If your event is more than 30 miles from downtown Portland - we have a small delivery fee to help cover fuel and extra travel time for our staff. *ask about our full, open bar! I'm sure you have tons of questions! Of course! We are fully licensed for alcohol sales and consumption. Our bartenders and our serving staff are also licensed to serve alcohol. We have full liquor liability insurance coverage (as well as several other insurance plans for other areas of our business). How many bartenders will you provide for my event? We want your guests to be well taken care of. In an effort to serve them well and efficiently, we'll provide one bartender for every 60 guests as a baseline. For larger events, bar-backs may be necessary depending on the scope of the event and the beverage selection. Will you provide non-alcoholic beverages also? You bet! We can provide some pretty standard things, or come up with a specialty 'mocktail' if you'd like! Can we provide our own alcohol? We do allow some clients to provide their own beer and wine in some cases. We want you to know that our bar service is incredibly well curated and our beverages are handcrafted for amazing quality. Along with that, our beverages are often paired with our food menus for the best match. When we have client-provided scenarios, wine and beer are the only items allowed. Our corkage fee is $5 per bottle of wine and $1 per beer. I'm sorry, but due to OLCC regulations, we can't allow your guests to serve themselves. There is a big liability that comes with that, and we could be fined quite a bit from the OLCC. For the protection of your guests, our staff, and our company - we'll serve all alcoholic beverages to the guests. How do I reserve you for my event? If you've already contacted us, we'll send over a quote soon! When you receive that, you'll need to "accept" the quote, sign our simple contract, and pay a non-refundable 50% deposit. That reserves our services for your date - and I wouldn't delay; our calendar fills up quite quickly! Have you already submitted an inquiry with us? If so, we'll be in touch soon with a quote for your event! If not, visit our Contact page and submit an inquiry!